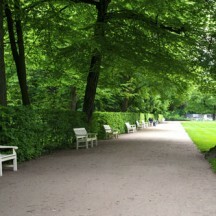 Ripagreen allows you to weed large areas such as park pathways, pavements or car parks effortlessly. We recommend “pushed” mode which covers a 40 cm heating width and ensures effortless movement. The Ripagreen thermal lance can still be moved even when pointed to the right or left to carry out more accurate work at the base of walls or in a given area. Placed centrally, the Ripagreen thermal lance will cover a strip 40 cm wide. With its solid puncture-proof wheels, the Ripagreen trolley can travel easily through gravelly or sandy areas. Its compact dimensions allow you to move through doors, between posts or street furniture. 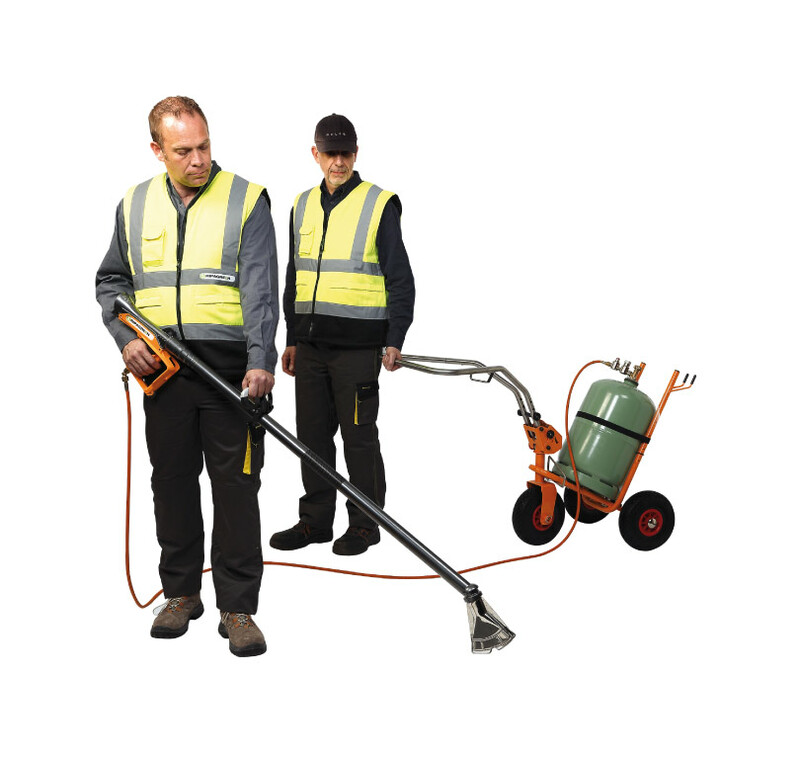 Uncouple the thermal lance from its trolley and treat difficult-to-access areas in the same way as a strimmer. Its light weight (2 kg) and adjustable handle provide a high level of working comfort and adapts to your body shape. The trolley is pulled here for greater mobility. 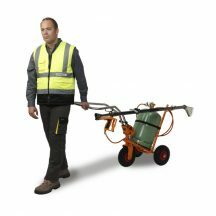 It mounts pavements easily and adapts to all types of ground. A holder enables the thermal lance to be stowed while moving between the areas to be weeded. In steep areas with numerous obstacles or which are widely spaced, you can choose two-operator working. When treating uphill areas, one operator pulls the trolley while the other treats the adventitious plants with the thermal weeding lance. 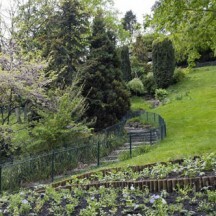 Just follow the trolley when coming back down. A parking brake may be used if both operators need to carry out another task. 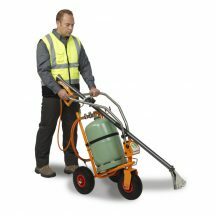 Lastly, the cylinder may also be placed on the back of a van which follows the operator weeding with the thermal lance.